Redesdale Primary School » Year 4 get Arty! A great first week back in Y4. We introduced our new Topic, Rivers, and began exploring the River Series from artist Claude Monet. 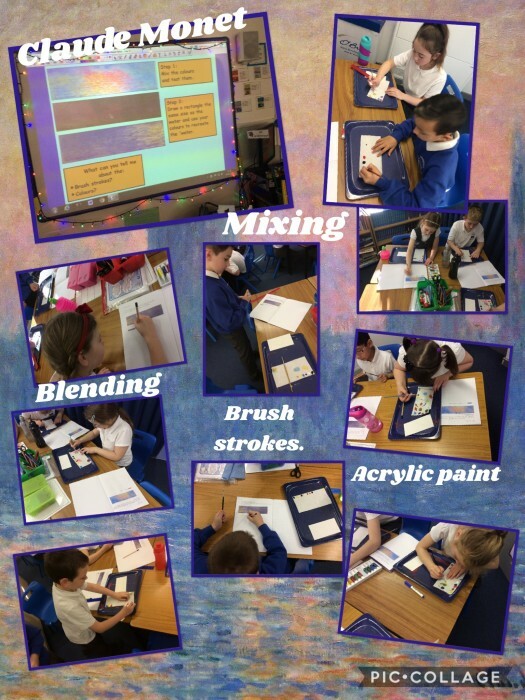 The children experimented with mixing acrylic paints to explore colour shades. Check back later in term for our finished masterpieces!